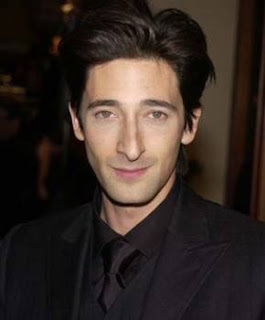 Adrien Brody works out at the Y. Me: "I'm sorry, but I have to ask you...do you always work out here?" AB: "Um, I try to." Me: "Do you live around here?" AB: "Hmm...I'm staying here for a while." Me: "Ok, because I was going to say...surely I haven't missed the fact that you always work out here...Do you like Des Moines?" AB: "Yeah, it's a nice place." Me: "Yes, particularly in the summer." AB: "There are a lot of really nice people here." Me: "Yes, I think so too. Well, I hope you enjoy your time here." I hear he is in town, along with Forest Whitaker, filming a movie called The Experiment, a remake of a German thriller. Supposedly there are two major films being made here in Des Moines this summer. Who knew Iowa was a hot spot for Hollywood? !